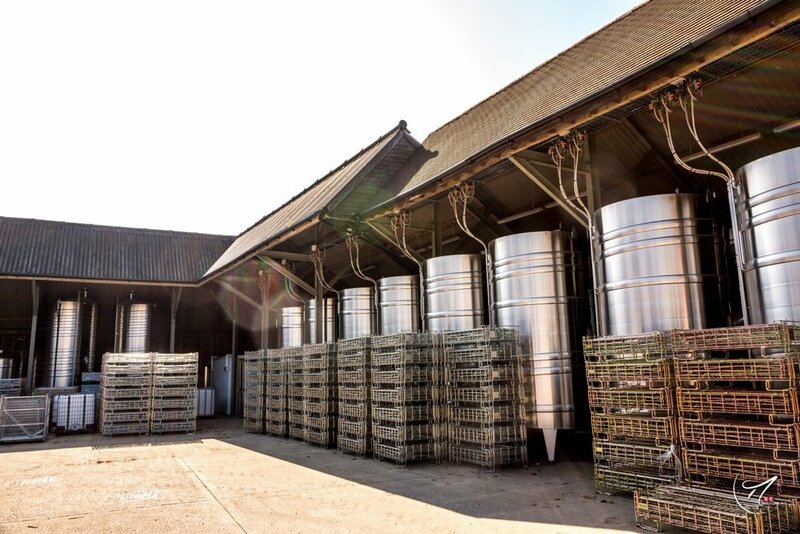 Harvest is the pinnacle of the grape growing year at Hattingley Valley. The vineyard team decides when the grapes are perfectly ripe to pick and then gets to work. 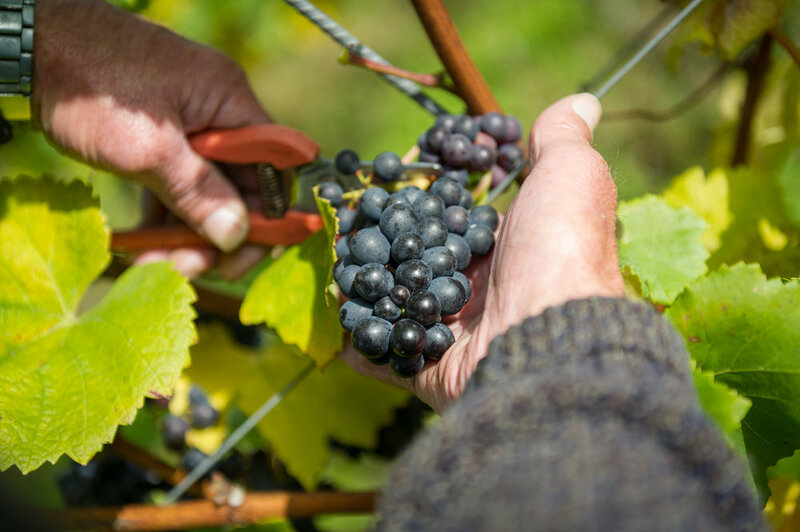 Each bunch is carefully picked by hand to avoid any damage to the grapes. Even though the hours are long and days endless it brings everyone together and the energy of the team keeps spirits high. There’s excitement in the air as the start of the wine making journey begins. Are put into 15kg - 20kg trays to avoid the grapes getting crushed prematurely. The juice is transferred to settling tanks with a specialist pump that is very gentle on the juice. It is then chilled in the tanks to aid the settling process. Each tank is inoculated with yeast for fermentation and the temperature is regulated to ensure a controlled ferment. The final blend will be assembled by the winemaker to make the best use of each batch and to maintain the house style. The bottles are stored in cages in a temperature-controlled room (12-16°C) to undergo their second fermentation in bottle creating the sparkle. After a couple months for the dosage to assimilate into the wine, the bottles are washed, labelled and packaged for sale. a conveyor belt and sorted for quality. After 24 hours the juice is racked off the grape solids and transferred to a fermentation tank or barrel. After the alcoholic fermentation is complete the wine maybe inoculated with malolactic bacteria to convert the harsh green malic acid into softer lactic acid. The wines will be chilled to -4°C and held there for 48 hours to ensure that tartrate crystals will not subsequently form in the bottle and the wine is then filtered to ensure clarity at bottling. The wines will be left in bottle on lees (dead yeast cells) for a minimum of 18 months and some wines up to 5 years to mature and develop character and flavour. 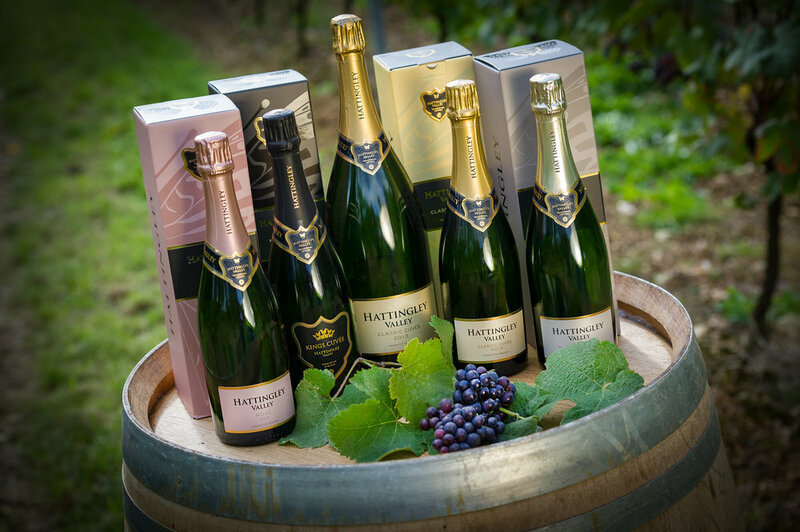 Our traditional method sparkling wines are sold via independent wine merchants, Waitrose and Majestic Wine (Hampshire stores), Ocado as well as pubs and restaurants throughout the UK. Hattingley also exports to 16 countries around the world including the US, Australia, Japan and Scandinavia. The Coquard PAI uses a gentle horizontal motion to extract the best quality juice. 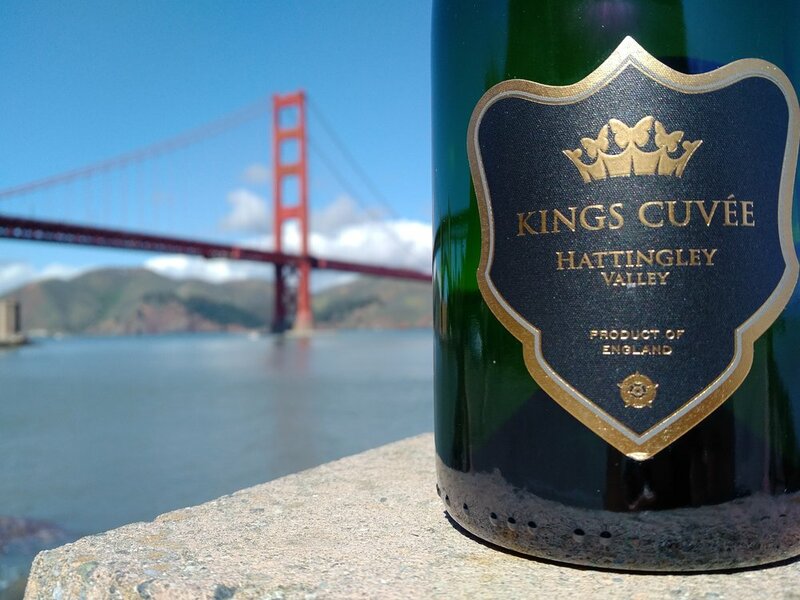 Each barrel is inoculated with yeast for fermentation and kept in temperature-controlled storage. 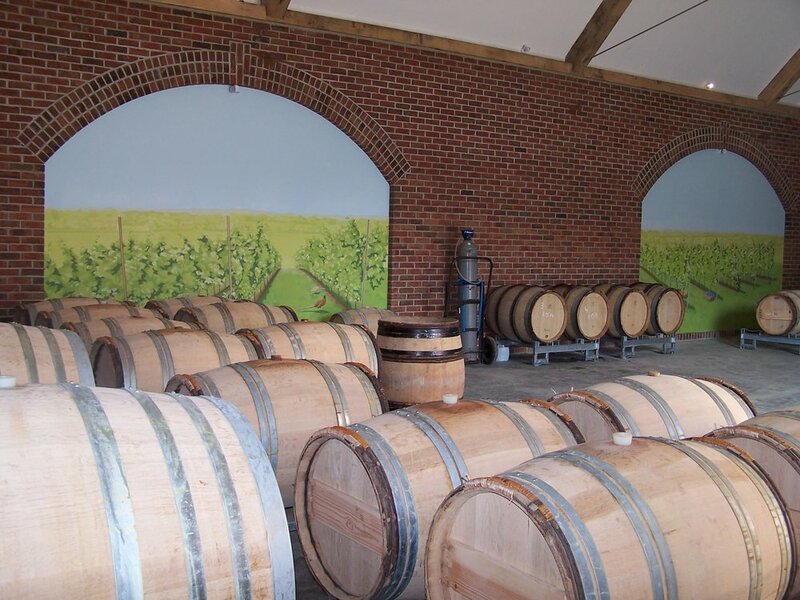 The wines may be aged for 8 or 9 months in barrel or tank to gain extra flavour from the dead yeast cell or lees. A yeast culture is made up and added to the wine as it is bottled. A crown cap is put on the bottle. When the wines are ready, the bottles are loaded into a gyropalette whereby they are gently and slowly rotated over the course of 5-7 days to come to rest upside-down. The bottles are then transferred to a neck-freezer, to freeze the plug of dead yeast that has settled in the neck. The bottle is flipped back up the right way and as the cap is removed the plug of ice is expelled, the bottle is topped up with a sugary wine solution (dosage) and the cork is inserted and secured with a wire-hood. We welcome visitors at the winery throughout the year (excluding harvest); please see our events page for dates to visit our cellar door or book onto one of our informative and friendly tours and tastings.